With recent snow fall and colder temperatures, it’s the time of year many locals enjoy outdoor snow sports. 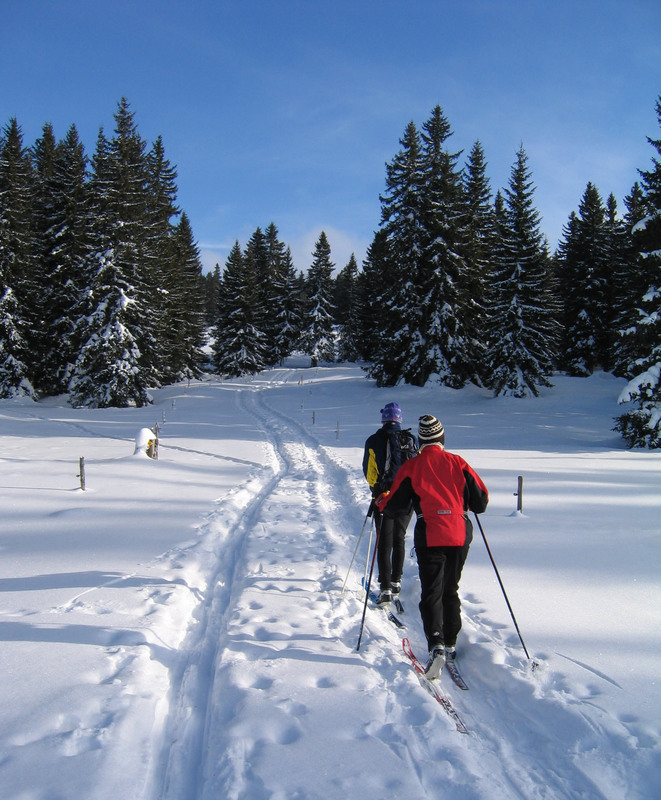 Cross country skiing, snowshoeing, and snow skating are all popular activities. We live in the perfect area to take advantage of these sports, with many locations in our own backyard. Vallecito Nordic Ski Club grooms trails throughout the winter. They offer nearly 15 kilometers of groomed trails for all abilities to enjoy. It’s a beautiful location, and there’s so much to explore. The Purgatory Nordic Center is across from the Purgatory Resort Entrance, and offers 20 kilometers for classic cross country skiing and skate skiing, and another 6 kilometers for snowshoeing. They also rent equipment for those who may need it. Views here are extraordinary—some of the best in Southwest Colorado! Chicken Creek Nordic is another option, located just northwest of Mancos. They offer 5.6 miles of double track and skate lanes as well as 5.1 miles of single track. Mancos is a fun destination because it’s a different direction than many of the other Nordic ski options. Many of these Nordic centers are operated and maintained by volunteer groomers. It’s spectacular to think about how much time they spend braving the cold to ensure a quality outdoor experience. There are many other local options: Cascade, Mesa Verde, Pagosa Springs options, and more. These outdoor sports offer a fantastic way to enjoy the winter. All ages and abilities can participate, even young kids. We are thankful to live in a place that provides so much variety, where we can truly enjoy the outdoors year-round. Take a look at the websites for these Nordic centers for grooming conditions, locations, and guidelines. We hope you enjoy all there is to do for fun in the Durango area.